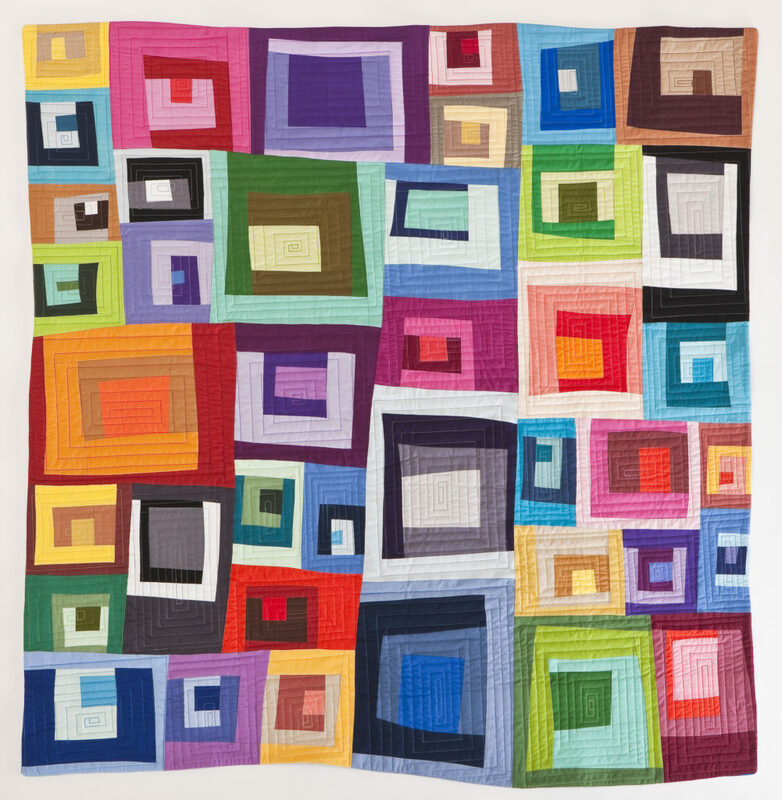 Maria Shell’s work is grounded in the tradition and craft of American quilt making. 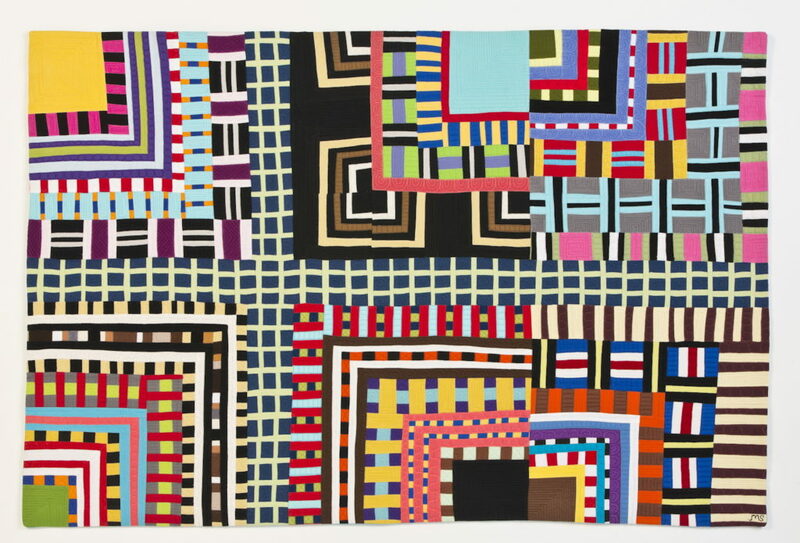 She strives to take the classical components of a traditional bed quilt and manipulate them with the hope of creating surprising combinations of pattern, repetition, and color for the viewer. Maria is the recipient of a Sustainable Arts Foundation 2011 Winter Award, a Rasmuson Foundation Project Award and two Rasmuson Fellowships (2009, 2013, 2017). In 2012, Maria was one of 44 artists from the Northwest invited to participate in the Bellevue Arts Museum’s Biennial High Fiber Diet. She was a featured artist for the 2013 Surface Design Association’s International Conference held in San Antonio, Texas. She has had several solo and small group shows including fiber at the Fitton Center for Creative Arts in Hamilton, Ohio, Right Lines & Circles at the Ormond Beach Memorial Art Museum and Gardens in Ormond Beach, Florida, and Line + Shape at the Hello Stitch Studio in Berkeley, California. Her next solo show will be at the Visions Art Museum in San Diego, California. 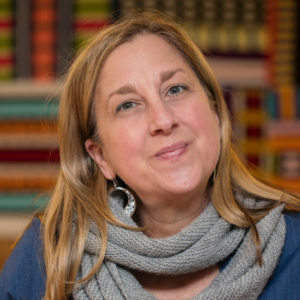 In the fall of 2014, Maria was an artist in residence at the McColl Center for Art + Innovation in Charlotte, North Carolina where she worked with formerly chronically homeless individuals to build a community quilt celebrating their new home. 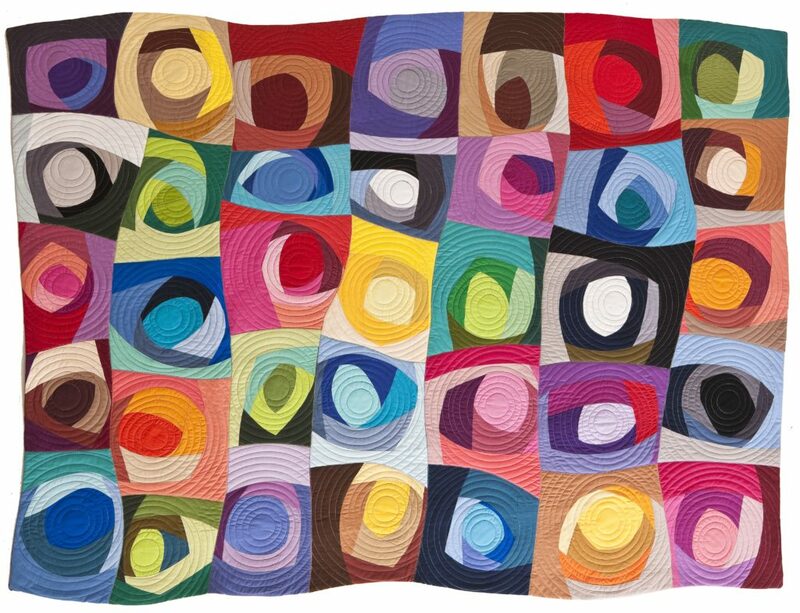 Her first book Improv Patchwork Dynamic Quilts Made with Line & Shape was published in 2017. You can see more of Maria’s work on her website mariashell.com or learn more about her process by visiting her blog, Tales of Stitcher.